[I cheated, all part of the writer’s confidence trick – this is a purely political map. A topographical one will be forthcoming]. I love maps. I love poring over them, I like buying them. If there’s a map on a wall I will pause to scrutinise it. I go walking a lot, and a good map can make the exercise so much more intriguing. Naturally, I like maps in fantasy. 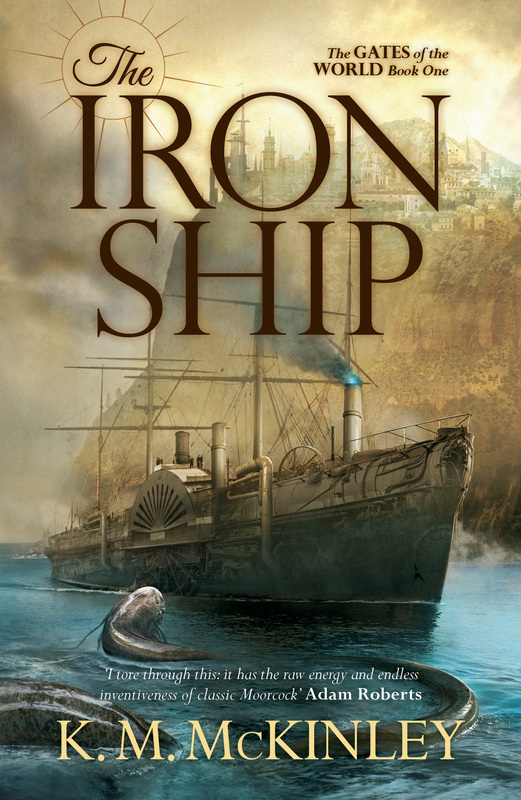 You will not be surprised to hear The Iron Ship has a map. A good fantasy map grounds a world. Bad maps can do exactly the opposite. Show me a spiky continent with a square forest in the middle where the magic elf people live, and I’ll quietly froth at the mouth. The amount of time and thought that goes into the creation of a map is indicative of how much went into the creation of the world. The more realistic the map, the more convincing the world. Note that a realistic topography does not necessarily mean a world that mimics our own. Tolkien’s Middle-earth is a nonsense of square mountain ranges, from a geological point of view, but that doesn’t matter, because it is a divinely shaped world. Its geography sits right within its story. There are a number of things that make a map realistic. The first is topographical. Our own world is shaped by titanic geological forces operating on unimaginable timescales. Everything on our planet is the way it is for a reason. Mountains are pushed up, continents drift, there are multiple types of erosion, many kinds of rock and soil. Cycles of cold and hot progress over aeons. Seas rise and fall. Ocean bed becomes mountain and vice versa. Overlaying the raw geography this creates is a complex patchwork of biomes shaped by natural circumstance and altered by human activity. Another indicator of a good map is linguistic – Tolkien and Le Guin are masters of this. Maps that borrow names from all over the real world with no thought as to how these names might have arisen in relation to each other are bad maps. Linguistics shares common traits with geography. Time wears words away into new forms. Eruptions of peoples across lands leave odd traces in the naming of places. Made-up names need to look at least as if they come from the same language or groups of languages, that they have a relationship with one another. The worst thing for a made-up world is to look made up. Socio-politics is a third. Often lines as stark as American state boundaries divide cultures. In reality, cultures – like languages and geographies – are on a continuum. Even where there are stark divides for historical reasons, you can’t stop them intermingling and influencing each other for long. A map should reflect this. 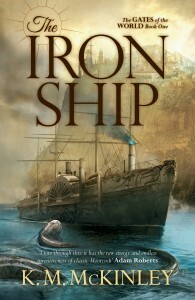 The world of The Iron Ship is very different to our own. The planet has a twin, and two common moons. All three work together on the planet, so that it suffers a complicated array of monumental tides. The influence of the sea stretches thousands of miles into its river systems. Because of this enormous tidal stressing, it is mountainous and plagued by volcanism.